David Anderson writes about multicultural leadership not from the perspective of an ivory tower intellectual, but as a hands-on practitioner who loves and believes in the body of Christ. . . . If you believe there is no solution to the race problem, I urge you to reconsider and to learn from someone who is on the frontlines of making multicultural ministry a reality in the church today.—Bill Hybels, founding and senior pastor, Willow Creek Community ChurchMulticulturalism isn’t a trend, it’s a reality. Evidence of this country’s rich racial mix is all around us in our schools, our stores, our neighborhoods, our recreational facilities—everywhere except our churches. Heaven may include every culture, tongue, and tribe, but in the United States, Sunday morning remains one of the last bastions of ethnic separatism. It’s time to stop merely talking about multicultural worship and start living it.In this groundbreaking book, David Anderson invites us all—African-American, Asian, Caucasian, and Latino—to learn how to dance the dance of multicultural ministry. We’ve all got different moves, but that’s the beauty of diversity: the various gifts we bring, the wisdom of our heritages, the different creative ways we express the same Lord. Think it can’t be done? Think again. As Anderson demonstrates, it is being done successfully by more and more churches. Wherever your church is now on the multicultural continuum, you can join the ranks of those moving toward a diverse and thriving ministry. Combining frontline insights with inspiring stories, Anderson takes you and your church into the strategy-level realities of what it takes to make multicultural ministry work in your setting.Do you hear the beat of the Spirit? God is calling your church to the dance of unity in diversity. Don’t hold back! 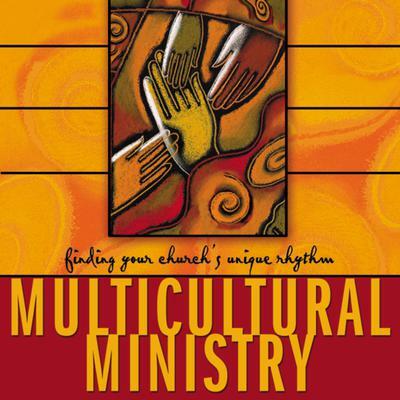 Grab this book, get out on the dance floor, and let Multicultural Ministry show you the steps.Includes a Racial Reconciliation survey and six-session Racial Reconciliation curriculum.